Marketing is important to every small business that wants to grow. But attracting new customers, keeping existing ones happy and raising your profile can cost a lot of time. That’s why I’ve collected my top 3 time-saving tips for your small business marketing for you. Over the years of working with small business owners on their marketing, I’ve easily identified the biggest marketing time-sinks: social media, blogging, networking and meetings. So let’s see what you can do to improve your results while saving time on these tasks. For small businesses with small teams and small budgets, time is an important resource. So stop wasting it on tasks that can easily be reduced by a sound routine and a little discipline. 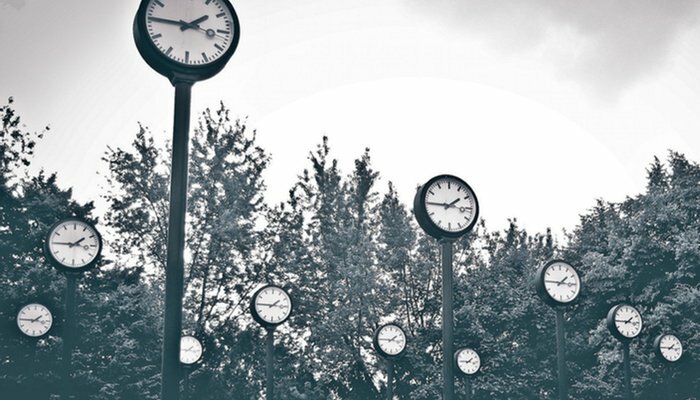 When I’m asked about time-saving tips for small business marketing, I generally find that we mainly lose time on tasks we don’t like or are not exceptionally good at (or both). One solution for that is to get someone else to do it (ideally someone who enjoys the task, because then they’re probably better at it, too). When you choose this option don’t make the mistake of micromanaging people. You hired somebody for their skills, so let them do their job. They know what they’re doing. Another solution is to streamline your processes and put workflows in place that help you save time and be more effective. The main thing you need for this option is focus. Concentrate on your goals and what you want to achieve, and stick with it. And remind yourself of that every time you go off on a tangent. But now let’s finally get to my top 3 time-saving tips for your small business marketing! Find out how a marketing plan can help you organise your marketing better and get better results. It takes a lot of time f inding out what people are saying on LinkedIn, replying to Facebook comments and thanking followers for retweeting you. And it’s so easy to get sidetracked when you’re trying to engage with your followers and attract new ones every day. Plus, you’re always hunting for new content to share with your audience, prove that you’re worth following and know what you’re talking about. One thing is for sure: Making the best of the opportunities social media creates for your small business takes time, patience and consistency. My first time-saving tips for your small business marketing are these: Social media is worth it and doesn’t have to be a full-time job. If you find yourself lost in the myriad of updates, set specific times to read your Twitter feed and catch up on Facebook posts and keep to it. You can also use downtime to catch up on social media, for example, when on the bus or waiting for a meeting to start. Set up notifications so you know exactly when somebody replied to your post, shared it or sent you a direct message. You can easily mute them when you’re focusing on a project. Spare time is also perfect to check the web for content. Collect relevant blogs and websites in one place (for example an RSS reader like feedly) to find and bookmark relevant links to share later. My editorial calendar saves me the most time. I know the best times to post my content, to engage with followers and can make sure content is evenly spread out. It also helps to share a nice mix of information, promotion and entertainment (find out more about the ideal content mix for social media). While blogging is beneficial for small businesses, it’s also time-consuming. Having a blog strategy helps you define who you’re writing for and what topics are relevant to your audience. But finding something that potential customers want to read about on a weekly basis can be tough. The same goes for writing your posts and creating visuals you can share. Then there’s proofreading, adding images and optimising your posts for search engines. Not to mention sharing your content on social media and with (potential) customers. So one of my favourite time-saving tips for your small business marketing is this: Never be without a notepad. Whether I have spare time between meetings or just had an interesting discussion with fellow business owners – as soon as I have an idea for a blog post, I write it down. For example, find inspiration for your next post by listening to your audience. Talk to your target group whenever you can or find out what their challenges are. Websites like Quora or special interest internet forums are perfect for that! And there’s always my free content marketing brainstorming tool you can use. There are also free apps to help you with the actual writing of the post. Examples are the grammar check service Grammarly, the Hemingway App to improve your writing and the Blog Post Headline Analyzer from CoSchedule. To reduce the time you spend spreading the word about your latest post and sharing it, add them to your editorial calendar for your social media channels. This way you always know the best time to post and when best to re-post, to maximise reach and impact. As important (and fun) as it is to make new contacts and catch up with fellow small business owners and freelancers, it takes time. And it’s not just about finding the right events to go to in the first place. As well as the event itself, there’s travelling there and back. Then don’t forget about following up afterwards or arranging meetings to discuss things further. And, as we all know, they’re a really good excuse if you have a pile of work waiting for you. Networking with potential customers is very important for small businesses. But it’s often the first thing we skip when things get busy. And then we might end up not being busy at all. There’s nothing you can do about the commute to an event or meeting. That’s why one of my time-saving tips for your small business marketing is to use the time you spend on the bus or train to work. Try checking social media, looking for new content to share or brainstorming ideas for your next blog post next time you’re on route to an event. Additionally, you can plan ahead and consider each event and meeting carefully before committing to it. We can’t always know if an event is worth attending beforehand. But try to avoid ones that won’t have many potential customers attending or are not well organised enough for you to really benefit. When you’re at an event, be pro-active. If possible, look at the attendees or exhibitors beforehand and identify people you would like to talk to. Be aware of your goals for the event, focus on them and set yourself a time frame, especially for meetings which can drag out quite easily. Also, make sure to plan your work for the day (realistically), including the time it takes you to follow up and connect with people after the event. Don’t try to make up for lost time by overloading yourself with work. It’ll only make you less productive – and cost you even more time in the process. Next Article Next Article: Should You Communicate Your Rates on Your Website?